I also provide portrait, commercial, and landscape photography in Glasgow, Edinburgh and all of Scotland. There is an abundance of wedding photographers in Glasgow, Booking a photographer to do your wedding photography in Glasgow can be confusing and can put you in a bit of a dilemma. So take your time and read my reasons why you should have the confidence in me. How to choose the correct wedding photographer for your Glasgow wedding. Free pre-wedding consultation at your home. Pre- wedding planning visit with you to your ceremony venue. Full day’s photography on the day of the wedding. Approx 500 to 1000 high-resolution Images supplied to you on DVD with license for you to have as many prints made, as you like. Every single Image fully retouched and enhanced in state of the art editing software to create the most beautiful photographs possible. A range of full colour, black and white, Sepia, blue tone and digital effect images. Full day packages for £800. A range of the finest wedding albums available upon request. Blend of reportage style alongside creative, timeless formal portraits. Gary has the ability to work and mix with people. Conducting his service in a friendly manor. The ability to get the shots I want without being disruptive. The ability to make my clients relaxed, have a bit of fun and a little bit of banter doesn’t go a miss. And at the end of the day giving my clients the perfect wedding photography package that you will absolutely love. Do you cover civil partnerships? Yes I do, I cover all types of weddings. Do I need to pick my final Images from proofs? No, you do not. Picking your final photographs for your album can take a long time, time that you may not have. Therefore, if you wish I could do this for you, I would pick the best Images and make up your album for you, this way you would receive your final product a lot quicker and without all the fuss that it can cause. My main objective is to tell the story of your wedding using my camera. I like to set up as few shots as possible, remaining unobtrusive and allowing you to enjoy the natural flow of your big day. All you need to do for most of the day is to act naturally and enjoy your big day with your family and friends. I will not ask you to do anything embarrassing or uncomfortable. My aim is to record you and your day naturally and to create a timeless, stylish, treasured record. Yes, I can. The camera that I use allows me to take photographs even in low light without flash. How long before we get to see our images. You will receive your proofs approx 2 to 4 weeks after your wedding day. Free initial consultation at your home or convenient venue. Pre-wedding planning visit to your ceremony / reception venue. Full days photography on the day of the wedding. Approx 500 to 1000 high resolution, copyright free images supplied on CD. All images individually processed, retouched and toned to achieve the finest possible results. We want something contemporary but we also want some traditional posed photos too. Can you do both? Yes, I can. One of the advantages of commissioning me is that I produce natural, candid, reportage style photographs as your day unfolds but I can also make creative and stylish formal portraits of you and your key guests. What is included in the day’s package? For a typical wedding, I would normally cover the following: preparations at the bride’s house or hotel. The groom and family at the ceremony beforehand, the guests arriving, the bride arriving, discreet shots of the ceremony. The signing of the register, the couple leaving, group shots of the immediate families and key friends and some private time with just the couple. Shots at the reception including guests mingling, the cutting of the cake. The speeches, toasts and first dance. However, every wedding is different and I will find out as much as I can about your particular plans at our pre-wedding consultation and planning meetings. 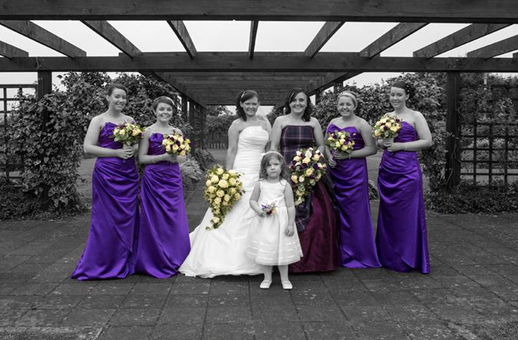 I then edit, retouch, enhance and present your photographs on CD, within 3 to 6 weeks of you wedding date. I also supply images that are optimized for web viewing (or emailing) as well as images that are optimized for high quality printing. As a guide, for every hour that I spend shooting your wedding I will spend at least an additional three hours on the editing and post-production of the photographs. I will shoot as much as practically possible and you may get a bit wet. At my pre-wedding venue visit, I will have searched for locations that we can use which are protected from the weather. Can we get a wedding album made up? Yes. I will provide you a choice of albums based on your requirements and budget. I use only the very finest album manufacturers Loxley colour Digital storybooks. 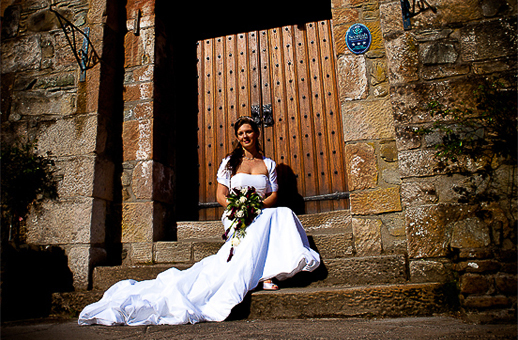 As a guide, album packages start from around £900 this includes your full days photography. Yes, I am a full-time professional wedding photographer. I am based in Glasgow UK, and work mainly in Glasgow and Edinburgh. However, I have photographed many weddings and Civil Partnerships much further a field. I may make a charge for travel to and from wedding locations depending on the distance to travel for both the wedding day itself and the planning day. I dress smartly with shirt & tie dress trousers and shoes. I operate a fully colour calibrated, professional digital workflow. Yes, my back-up equipment is also Canon. In addition, I use the fastest and most robust data cards available. All images are subsequently downloaded from these data cards to two separate external hard drives for maximum security. Boring stuff but it absolutely ensures your irreplaceable photographs do not disappear. I shoot in RAW digital format, which means that I capture enormous amounts of digital data that subsequently enables me to produce your wedding photographs as full colour and black & white. Do you stop to eat? I work almost continuously through out the day. However, I ask that the couple provide a hot meal and soft drink whilst the wedding party and guests sit to eat. I do not need to sit with the wedding guests – I will consume my meal quickly and discretely in order that I can begin shooting again as soon as possible. Can we keep our negatives / files? I am happy to supply all the photographic images as jpgs on CD at (high resolution) ready for printing in any size. This is the preferred format of most high street and professional printers. The CD includes a license granting you the right to make as many copies as you like for yourself, family and friends. I also supply web-ready files which you can upload to your own website or email to family and friends as well as an electronic slideshow. What experience does the wedding photographer have? I have at least 15 years experience in photography, and have worked as a wedding photographer in Edinburgh, Glasgow and across Scotland. How does the wedding photographers conduct themselves? I will always provide a service with a smile and is dedicated to make your wedding day run as smoothly as possible with absolutely no fuss. Will the photographer become intrusive and take all day? I will take your wedding photographs as naturally as possible. 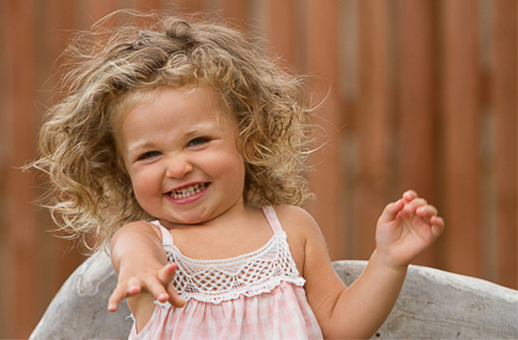 I will do my best to make your photography session fun and make you feel relaxed as much as possible with no fuss. If I sense that you are getting bored I will take a break, making my clients relaxed and happy is very important to me. Can you remove Tattoos & Facial marks? I often am asked can you remove tattoos and facial marks. Yes, I can. I take great pride in my work, so I look at each Image individually and make any alterations that might be required. Do you charge for extra coverage? Most Photographers will Charge you for extra cover, my policy is that I DO NOT charge for extra cover, e.g. Bridal preparation, staying until the first dance! To all clients, Complementary CD slides show to music with approx 100 of your favourite photographs!